Prempoint is a keyless entry management system that allows real estate agents and property managers to automate property access and get rid of lockboxes, traditional keys, and keypads. With its Entry Point functionality, users can control, monitor, and grant other users access to their units or properties. In this review, we cover its pricing options. Ready to try Prempoint? Contact their support team for more information. As of the date this article was written (10/10/18), there are no user reviews of Prempoint online. If you are a past or current Prempoint customer, leave a review to help others who are deciding whether or not to use Prempoint. Prempoint is free to use for one selected property, and it has two paid smart lock services: Cyprexx Lockwise ($139/lock) and Schlage Control ($199/lock). The main differences between the services are the lock brand and model. A one-year subscription is required for each plan, and there is a $1/unit/month additional fee to access Prempoint’s full software for users with more than one property. Ready to try out Prempoint? Contact their support team for more information. 29 Best Real Estate Software & Tools for Top Agents in 2018 – Are you looking for the most suitable real estate software for you and your team? Do you need one as an individual realtor? Read this guide for our best picks for 2018. Remote access control and management that enable automation of property access from anywhere using Prempoint’s desktop web console and mobile applications. Manage units and assign 24/7 access to user’s residents, staff, and trusted vendors. Use of Entry Points (or interactive digital keys) to control and monitor access to a unit using schedules, geofencing, and biometrics. Real-time notifications of property activity. Securing, controlling, and monitoring access to your units for showings and maintenance. A full audit trail using multimedia to chat back and forth in real-time with texts, photos, and videos. Historical reporting of property activity for record keeping and tracking. Can users install the Prempoint app on any mobile device? Yes. Users can download the app on as many mobile devices they like, regardless of the service they are subscribed to. Prempoint doesn’t charge users by mobile device installs. Will users be able to use Prempoint even without Wi-Fi or hub? Yes. Prempoint communicates directly with Bluetooth locks from different manufacturers where no Wi-Fi or hub is required. 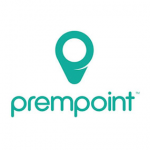 Not sure if Prempoint is the right fit for you? Read our reviews of all top real estate software providers or check out one of these three Prempoint competitors.